People who eat according to keto diet sometimes get something called ketosis breath. The ketosis breath smell can be very special and could affect your social life. It could also be something that irritates you personally if you do not like the ketosis breath taste or smell. 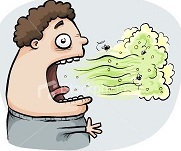 The reason people get a bad ketosis breath smell is usually caused by that when your body is burning fat certain chemicals are released in your breath. This process happens when you enter the state of ketosis and this is what causes the bad ketosis breath smell. 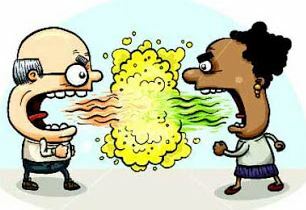 It is however not only a bad thing that you have a bad ketosis breath smell. You can use this as an indication that you have actually come into ketosis which is considered as a positive thing when eating according to a keto diet. Carbohydrates aren’t readily available, so you start to use other fats and proteins as your source of energy, and as a result you are going to get a breath problem – Kenneth Burrell, Senior director of the council on scientific affairs of the American Dental Association. However it is easy for people that notice you have a bad ketosis breath to assume you have poor oral hygiene. You should know that no matter how much you brush your teeth, floss or scrape your tongue this will not help to reduce the ketosis breath smell. There is no perfect ketosis breath cure. You will just need to try to reduce how noticeable it is. The best way to reduce the bad ketosis breath symptoms is to use mouthwashes or chewing gum. This is however not a 100% solution and it is still possible that people will notice your ketosis breath. You could also try to drink more water and swish it around in your mouth to clean out some particles that could cause the ketosis breath smell. If you still are not able to get rid of the bad ketosis breath the final step could be to increase your intake of carbohydrates in your diet. It is not the best solution for someone on a keto diet but it might be the only way for you to finally get rid of that ketosis breath smell.